How do I add Anow Connect links to my company website? Click here to find out how you can embed the Order Form and Client Access directly on your business webpage in 2 minutes! 2 minutes is all it takes to have the Anow Connect Order Form and Client Access links embedded onto your company website! Get your web developer to contact us at support@anow.com or 1-800-403-7121, and we will walk through the process with them! First you will need to go to your Anow Connect Settings; you can do this by clicking your initials in the top right corner, then selecting Connect Settings from the list. You will now see a header titled Connect Links that contains the links for the Order Form and Client Access portal. When you embed either of these links onto your company website, your clients will be able to go straight from your website to their Anow portal. 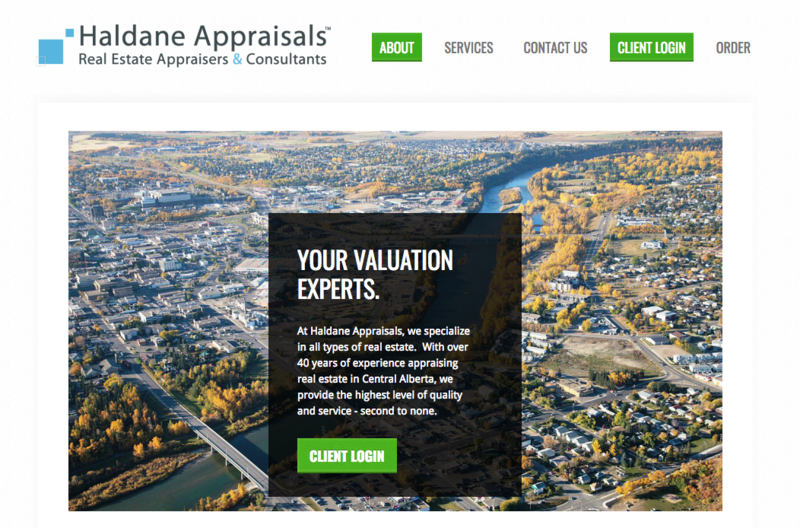 Here's a preview of the Haldane Appraisals webpage, and as you can see they have embedded the Client Access URL so that their clients can login and track their ordered appraisals with the click of one button. 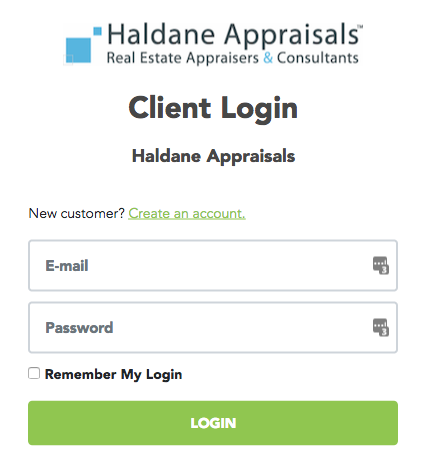 When people click the Client Login button, they are automatically redirected to the login page for Haldane Appraisals clients.